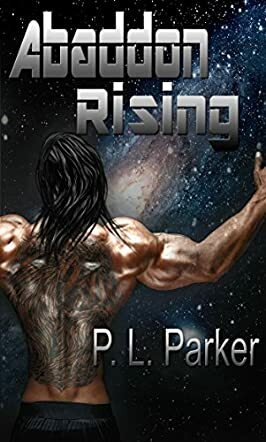 In Abaddon Rising by P.L. Parker, after watching her only friend and ally perish at the hands of an ax-wielding monstrous creature, Joss is ready to give up on life. The situation is made even worse when her spiteful handler serves her to the hungry males in the communal sleeping quarters. However, just when she thinks all is lost, an unlikely ally comes to her rescue and claims her as his own. How did she end up here? Joss was captured and sold into slavery where she and many others are subjected to the daily torture and humiliation of kill or die games for the amusement of their masters. But what's the point of fighting so hard when surviving only means fighting again and killing again until you get killed? There is only one end - Death. What is the point of winning if it only means you live to kill another day or be killed? Abaddon Rising by P.L. Parker is an adrenaline-pumping read that will have you rooting for the central characters even though the odds are stacked against them. The descriptive writing style captures every detail, action, and emotion to bring this dystopian story to life and draw you into the scenes so you can connect with the characters. P.L. Parker perfectly captures the barbaric action in the slave pits and beyond and the resulting feelings of fear and despair that rule the slaves' lives. The author created a language that perfectly blended with the setting and theme of the story. This gives new meaning to ordinary words to suit the setting and brings to life the different characters with each species as fascinating as the last, yet different in every way.